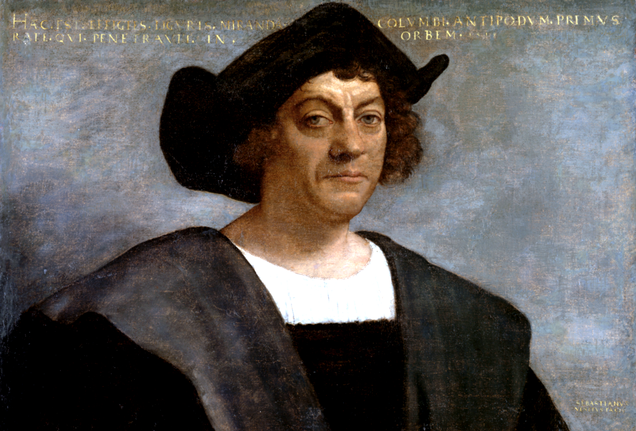 Who Else Lived in the Days of Columbus? Just seven years after Columbus’ voyage, Luther would encounter that fateful lightning storm that would change the course of his life. After joining a monastery, this man would discover the grace of God’s justification by faith alone through Jesus Christ. The Reformation was officially begun through this man. He is responsible for translating the Bible into the German vernacular, for many edifying books and publications, and for providing teaching and leadership to centuries of Christians to follow. Get more info on Luther here. As the scent of Luther’s Reformation wafted over the Alps, Zwingli led the charge forward in Switzerland. He held unswervingly to God’s Word as final authority. He is quoted as saying, “For God’s sake, do not put yourself at odds with the Word of God. For truly it will persist as surely as the Rhine follows its course. One can perhaps dam it up for awhile, but it is impossible to stop it.” Zwingli advocated strict adherence to Scripture as the model for church practice, and he was not afraid to get his hands dirty. He was killed in battle while acting as chaplain to the men defending Zurich from Catholic troops. Get more info on Zwingli here. Erasmus was a preeminent scholar of the humanities, and he sought to excite toleration for much of the Reformation, though he himself remained under Roman Catholic authority. His greatest contribution, however, was his edition of the Greek New Testament, published in 1516. This work made the way for many of the Reformers to read the NT in its original language, rather than in the Latin Vulgate, which would fuel the return to a biblical understanding of God’s salvation. Get more info on Erasmus here. Tyndale was born just two years after Columbus’ discovery, and his work in Bible translation transformed Christian belief in the English-speaking world. Being fluent in seven languages, including proficiencies in ancient Hebrew and Greek, Tyndale had come to the conviction that justification was by faith while reading his copy of Erasmus’ Greek NT. It is said that a hundred years after Tyndale, when translators were writing the Authorized KJV, they deferred to Tyndale’s translations 8 out of 10 times on questionable passages. His desire and efforts to place the Bible in the hands of the common man earned him a place at the martyr’s stake, where this brother was strangled and burned. Get more info on Tyndale here. Born 1509 in Noyon, France, Calvin was two years too late to be a contemporary of Columbus. However, his part in the Reformation cannot be overstated. He was a faithful pastor, scholar, and author. His Institutes of Christian Religion, which was originally written to be a small handbook of theology for the common man, grew over its many editions to become a multi-volume work. His influence over church order and doctrine has stretched forward through each successive century of church history. Get more info on Calvin here. These are just five men whom we as Christians should be teaching our children and churches about. If we know about Columbus, we should certainly know about these contemporaries of his–who were pioneering courageous ventures for the Kingdom of God. Next Post Grove City College: What’s in a Name?